In anticipation of the upcoming World Cup in Russia, I decided to conduct a comprehensive statistical analysis on the World Cup. During my research, I gathered data on all World Cup results for the seven tournaments since 1990 and performed numerous analyses on the figures which illuminated a plethora of insights. Part I of the analysis will evaluate performance by confederation through a series of exhibits. The chart above displays aggregate stats by confederation based on the results of the last seven World Cups as well as some key per game metrics. As seen in the chart, we can glean the following insights. They lead all confederations in World Cups, Matches, Wins, Goals For, Goal Differential, Points, and Winning Percentage. They have accumulated 83% of all Wins and 76% of all Goals For while only accounting for 63% of the field. They are the only confederations to win the World Cup. UEFA and CONMEBOL have strikingly similar per game metrics, including Goals For (1.38 and 1.39), Goals Against (1.05 and 1.01), and Points (1.60 and 1.67). The confederations have each won 22 or fewer games cumulatively. They each have won less than 25% of their matches and lost more than 49% of their matches. The confederations each have a meaningfully negative Goal Differential with each worse than (0.5) per game. The confederations each score less than 1.0 goals per game. The confederations each do not average more than 1.0 Points per game. Of the three, the pecking order is CONCACAF, CAF, and AFC. The confederations align in that order based on Winning Percentage, Losing Percentage, Goal Differential per game, and Points per game. The chart above slices the previous chart’s aggregate confederation stats into per World Cup and per Team per World Cup stats for another vantage point on the data. UEFA comprises nearly half (47%) of teams at the World Cup, followed by CONMEBOL (16%), CAF (15%), AFC (12%), and CONCACAF (10%). UEFA wins 60% of all matches at a World Cup followed by CONMEBOL at 23%, both of which are above their proportional representation. CONCACAF, CAF, and AFC do not combine to win even 17% of all matches and average only 2-3 wins per World Cup for their entire confederation, which is less than one per team. The difference in Goal Differential is stark. UEFA and CONMEBOL are significantly positive whereas CONCACAF, CAF, and AFC are significantly negative. The average CONMEBOL team is strongest – they boast the best metrics in Matches, Wins, Losses, Goals For, Goals Against, Goal Differential, and Points. UEFA follows closely behind CONMEBOL with the second-best metrics in each of the categories. CONCACAF, CAF, and AFC trail UEFA and CONMEBOL in an orderly fashion with CONCACAF performing third-best in all categories, CAF performing fourth-best in all categories, and AFC performing last in all categories. The tables above tally the final place by confederation based on results of the last seven World Cups. They account for all Champions, Runner-ups, and Third Place finishes. They account for 6 of 7 Fourth Place finishes. They have low Group Stages elimination rates with only 37% and 24% of teams failing to survive the Group Stages. The only country to make the Semi-Finals from a confederation other than UEFA or CONMEBOL is South Korea in 2002 where they co-hosted the World Cup and benefited from suspect refereeing. They have high Group Stages elimination rates with 74% and 76% of CAF and AFC teams failing to survive the Group Stages. CONCACAF fares much better in the Group Stages with less than half of its teams (43%) exiting during the Group Stages. The tables above record the number of teams who advanced to each respective stage by confederation based on results of the last seven World Cups. They account for 50 of 56 (89%) of Quarter-Finals teams and 86 of 112 (77%) of Round of 16 teams. 21% of participating teams from each confederation reach the Semi-Finals and approximately 40% (37% and 42%, respectively) reach the Quarter-Finals. They are overrepresented, relative to their proportion of teams in the World Cup (47% for UEFA and 16% for CONMEBOL, respectively), at each stage of the knockout rounds. They account for only 6 of 56 (11%) of Quarter-Finals teams and 26 of 112 (23%) of Round of 16 teams. CONCACAF teams have performed better than expected in the Group Stages with 57% of their teams advancing to the Round of 16, which vastly exceeds CAF (26%) and AFC (24%) and only slightly trails UEFA (63%) and CONMEBOL (76%). UEFA has had 1 (5 of 7 World Cups) or 2 (2 of 7) participants in all Finals. UEFA has had 1 (3 of 7 World Cups) or 2 (4 of 7) participants in all 3P / 4P games. UEFA has won each of past 3 World Cups in Europe with at least 3 Semi-Finalists in each (4 of 4 in Germany 2006). CONMEBOL has had 1 team in either the Finals or Semi-Finals for 5 of last 7 World Cups. No CONMEBOL teams made the Semi-Finals in 2006 and 2 CONMEBOL teams made the Semi-Finals in 2014, which was hosted in South America. CONMEBOL has strengthened over the past 3 World Cups. Only 2 teams have failed to advance from Group stages, and they finished 18th (in 2006) and 17th (in 2014), respectively. An analysis of the bottom 16 teams who failed to reach the knockout rounds supports the idea that UEFA and CONMEBOL are underrepresented and CAF and AFC are overrepresented. Of the 40 teams finishing in the bottom eight of the past five World Cups, 13 (33%) have come from AFC, 10 (25%) have come from CAF, 10 (25%) have come from UEFA, 6 (15%) have come from CONCACAF, and 1 (3%) have come from CONMEBOL. The concentration of AFC and CAF teams in the bottom eight relative to their proportion of the World Cup field as well as the weakness of their aggregate confederation stats illustrates that their allocations are likely too high. In contrast, the lack of UEFA and CONMEBOL teams in the bottom eight relative to their proportion of the World Cup field as well as the strength of their aggregate confederation stats demonstrates that their allocations are likely too low. However, it must be stated that the World Cup’s objective is not simply to field the best 32 nations but to be a global competition of the world’s best. While it may be accretive to the overall quality of the World Cup field to limit AFC, CAF, and CONCACAF to three (or fewer) teams apiece, it is unlikely FIFA will make such a radical change. That being said, there is a compelling argument for transferring a bid each from CAF and AFC to UEFA and CONMEBOL, respectively. CONCACAF, while performing much worse than UEFA and CONMEBOL, appears to benefit from a more logical World Cup allocation than CAF and AFC. Since they have fewer spots, the highest quality nations from the region tend to earn qualification and underlings, who would be susceptible to poor performances at the World Cup, rarely make it. In contrast, since CAF and AFC are overrepresented, the weakest squads to earn qualification tend to perform poorly at the World Cup as they are largely overmatched relative to the strength of competition. The table above and summary below highlight the boost that confederations receive when they host the World Cup, as measured by the number of teams reaching the respective knockout rounds in a home World Cup compared to the average number of teams reaching the respective knockout rounds across all World Cups. The table above displays a composite of World Cup performance by confederation based on the average results of the past five World Cups since the field expanded to 32 teams. Please note this analysis does not adjust for geography. Please also note that for the upcoming World Cup, the final spot (which is the composite of CONCACAF, AFC, and OFC based on playoff results) will be a fifth team from AFC – Australia. To continue on to Part II – click here. This pecking order is not as straightforward as it seems. Part IV of this analysis will delve deeper into the comparative performance of these confederations. After much deliberation, we have finally decided on a new logo. During our first few years running the blog we wanted to focus on the content. Despite our pride, in the articles we wrote and the content we provided, we always had a nagging feeling that the logo didn’t fully articulate what our blog was about. 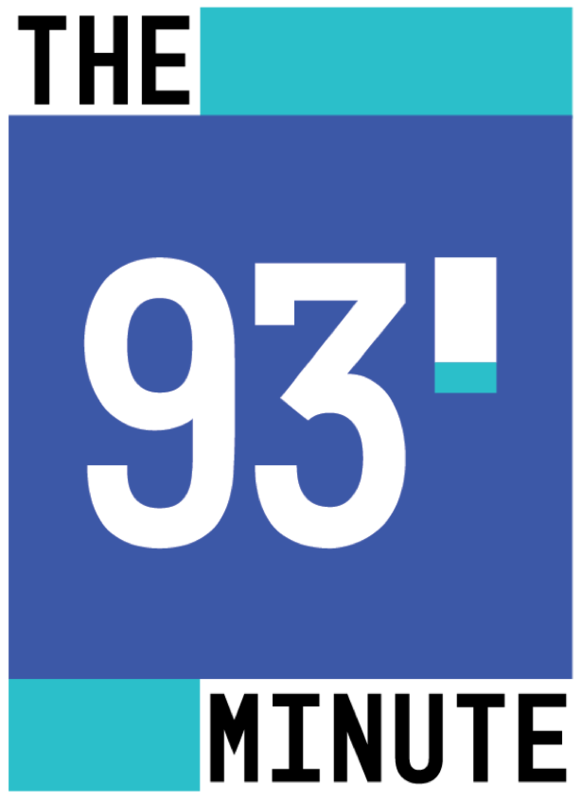 The reason we chose “The 93rd Minute” isn’t purely because of its significance in the football community (although that is well-documented). The full reason is based on what that time frame signifies. When the game is deep into injury time and each play could be the last, there’s an extra scrutiny on every action. Any wrong pass or an extra dribble could kill the play and the team’s last chance at redemption. In order to succeed, there needs to be a certain level of confidence and fluidity within the team which comes with the belief that your team will get that one chance and you will bury it. In our blog, we know that we might not compete with the biggest football blogs out there but we are confident that for those of us who read us we will capitalize on that chance with great content and quality writing. Therefore, this blog is simplified to make it easier to interpret and more shareable. We have removed the unnecessary clutter. What is left is the basics. Stripped down to minimize extraneous activities so we can focus on what really matters. Time is always running out but we’ll make sure to always deliver. Thanks for continuing to read! Those were the primary emotions I felt after Carlos Cordeiro’s electoral victory as USSF President. Given all that is wrong with US Soccer, how did Cordeiro win? Even more troubling, how did he and Kathy Carter dominate the vote? In the past four months, I have spent an inordinate amount of time reflecting upon and gathering my thoughts on US Soccer. It’s been terrific to see so much engagement and conversations taking place, but the results of Saturday’s election were dispiriting and incompatible with much of the discussion. In the subsequent pages, I tackle the following topics in hopes of making sense of it all. While much of my commentary is highly critical of the USSF, I endeavored to support my observations with reason and evidence (you will see a plethora of sources throughout). I am open to engaging in dialogue with anyone who reads this and wants to share their thoughts, but I implore you to digest with an open mind and without preconceived notions. I’ve provided a screenshot of a twitter thread from Breaking The Lines that encapsulated the reaction of many and reverberated through the soccer community following the conclusion of the USSF election. I think this thread serves as a relevant backdrop to commence the conversation on US Soccer, and I will explore many of the themes mentioned in the post in the pages that follow. Shortly after the election concluded, Stuart Holden served as emissary for the Athlete Council (AC) to explain their pivotal decision to cast a bloc vote for Cordeiro that swung the election in his favor. The NY Times quoted Holden as saying “…I think it was more important than ever that we showed as an athletes group that we were united, and I think that makes a big statement”. A quick search of Holden’s twitter account shows that others were less convinced of the statement being made. Echoing lilly’s sentiments, which resonated with many, I think the AC’s decision spoke volumes but did not communicate the message they intended. Instead, it conveyed the following – mediocrity is acceptable and the status quo is okay. While Cordeiro was able to convince the USSF voters, who lacked imagination or verve in instituting actual change, he failed to sway public opinion. What are his ideas – that he defers to soccer experts for key technical decisions? I’ve heard him speak publicly, read interviews with him, and visited his website, and I could not tell you what he stands for, what his ideas are, or, most importantly, how he intends to achieve them. Let’s not forget that Cordeiro stated he would serve out his term as VP through 2020 if not elected as President. Why couldn’t he have advocated for his platform – primarily to weaken the strength of the Presidency, empower the Board, and appoint committees / positions to oversee certain activities – as VP? As proof of the efficacy of this approach, the decision to appoint a men’s and women’s GM was approved at the AGM independent of the election results. Cordeiro’s other primary agenda item is to create two additional committees to supervise technical matters and commercial dealings. It seems perfectly plausible that Cordeiro could have pushed for the creation of these committees as VP and left the soccer leadership to someone with a background in the game. Would US Soccer not be better served with a more knowledgeable President and the enhanced governance Cordeiro could have helped instill as VP? Think about Holden’s message. Re-read what he said. What impressed him about Cordeiro was his acknowledgment of his deficiencies, which most would characterize as prerequisites of his job. I think Jerome de Bontin summed it up best. Would you be comfortable with a Director of the Center of Disease Control (CDC) who has minimal medical expertise? It is important to dispel this notion that there is no intersection of individuals who possess both soccer expertise and business acumen. Plenty of those individuals exist. Statements like those of Holden that suggest otherwise are untrue and misleading. Shortly after making his initial comments, Holden shot back at the response from critics of the AC’s decision. Alexi Lalas came to the defense of Holden and tweeted the following. Why did the AC vote as a bloc? Why did the AC vote for Cordeiro rather than any other candidates? How does Cordeiro best serve the AC and the interests of the USSF as a whole? Were there backroom deals, at the behest of concealed lobbying efforts, influencing their decision? Here is one direct example of the suspicious “quid pro quo” behavior that is all too commonplace in US Soccer. Carlos Bocanegra preaches the company line after the election victory. Then, in less than a week, it is confirmed that Bocanegra is on the short list for the newly crafted GM position. Bocanegra had an illustrious playing career and is now involved in the front office of Atlanta United, but, he’s 38 years old, less than four years removed from his playing career, and has only a few years of managerial experience. This does not exactly scream prime candidate for the GM of the national team and is another action that raises eyebrows. So much for transparency. Kartik Krishnaiyer’s retrospective on the AC’s decision-making raises more questions than answers and leaves a lot to be desired. What was even more telling was Holden’s admission of the candidates in contention for the AC bloc vote – Cordeiro, Carter, and Martino – which undoes his (and the AC’s) credibility. The fact that Carter and Cordeiro were among their choices reveals their motivations and thought process. The public expressed concern over various issues related to the AC, such as their decision to interview only a portion of the candidates, their susceptibility to outside influence, their indecision throughout the election process, and their shifting from candidate to candidate on a whim as if they are homogenous even though they have meaningfully different platforms. However, contrary to Lalas’ claim, it’s not voicing displeasure at something we disagree with just because we disagree with it; rather, it is because we don’t understand the decision or the rationale explaining the decision so we wonder why. It is widely known that the powers to be at SUM and other affiliated entities exercise undue influence on athletes both during and after their playing careers. For instance, Kartik shared a disturbing example of this coercion. The low number of athletes who cast ballots can be attributed to the desires of MLS, fearful a bloc would come together for the likes of Kyle Martino, perceived as a candidate not in line with Don Garber’s agenda, being given a difficult time leaving their clubs. MLS obstructed players from leaving their clubs out of fear they would vote against MLS’ priorities. It’s alarming to witness how deathly afraid the establishment is of relinquishing any control of their vice grip on US Soccer. Based on Kartik’s article, it’s clear the AC lacked sincerity and had ulterior motivations as their intra-rounds deliberations were shaped by aligning with the candidate they deemed likeliest to win rather than who they felt would best serve their interests and the interests of US Soccer. That’s disgraceful. Moreover, story after story keeps coming out of how little prominent US Soccer athletes know of the inner workings of the USSF who seem happy to keep their constituents in the dark. Here is Heather Mitts, three-time Olympic Gold medalist, illustrating such opaqueness on the day before the election, no less. Sorry, Holden, but I’m not convinced by your decision and have serious reservations about the judgement of a self-proclaimed non-soccer expert who has held office for the past decade while numerous failures, missteps and mistakes have been made. And to Lalas, I think John Pranjic provides a simple rebuttal to your straw man defense. Here’s another key point made by Pranjic. This past USSF election exemplified many of the USSF’s flaws – lack of information, dubious motivations, convoluted (electoral) processes, dismissal (and outright contempt in some cases) of the voices of the common fan, and neglect of fiduciary duties – all under the guise of transparency and betterment of US Soccer. This is why we are calling out Holden and the like who did not appear to prioritize doing what’s best for soccer in their decision making. Before delving into what comes next for US Soccer and speculating on what a future under the Cordeiro administration looks like, I thought it would be useful to review Gulati’s tenure to evaluate his performance and see if there are any lessons to be learned. What has Gulati accomplished in his twelve years at the helm of US Soccer? The two major things that come to mind are the $150 M surplus and the advent of the Development Academy. Am I missing anything? I’m happy to expand this list and give credit where it is due, but that is all that immediately comes to mind. If those are the major accomplishments, that’s a paltry list. In terms of the $150 M surplus, there is a compelling argument to be made that the surplus is actually a defect and was garnered in spite of, rather than because of, the USSF’s efforts. Had the USSF been more astute in their business decisions, they could have likely monetized their broadcast rights for orders of magnitude more than they have under the current arrangement with SUM. Meanwhile, here is a list of issues or problems that took place during Gulati’s reign and / or currently exist today. Additionally, I took a trip down memory lane and unearthed some choice quotes from Gulati that I will comment on in this next section. “We can’t get complacent with an eighth-place finish or a gold medal,” referring, respectively, to the U.S. men advancing to the World Cup’s quarterfinals, and the women’s team having won the 2004 Summer Olympics championship, in addition to capturing the 1996 Olympics title and two World Cup crowns (1991, 1999) and two Summer Olympics (1996, 2004). It’s interesting to hear Gulati’s take on complacency and status quo at the onset of his Presidency. Whereas he derides complacency and the status quo in 2006, I’d say those are two ideas that define his Presidency. Membership plateaued during his tenure. And for a guy who flaunted Olympic success in his inaugural address, he seems suddenly forgetful to broach the topic in recent years when the men have failed to qualify for two consecutive tournaments (and three of the last four) and the USWNT recently faced their worst Olympics result in program history. In twelve years as President and many more in leadership positions, how did Gulati address this problem? This quote could be written today. Minority engagement is as relevant today, if not moreso, than it was 12 years ago. Pay-to-play is rampant and its consequences on player development are dire. I’m going to discuss the Jonathan Gonzalez situation later, which perfectly encapsulates the federation’s numerous failures in its outreach, or lack thereof, to diverse communities. Really? US Soccer is in its infancy when it comes to tactics and is significantly less advanced than their global counterparts in this area. Too much coaching? I understand the concept of helicopter parents and weekend warrior soccer dads / moms, but, in terms of real coaching, the U.S. trails the rest of the world by huge margins. Look at the tone Gulati used eight years ago about losing in the Round of 16. He argues the team is capable of more than simply reaching the knockout rounds. Little did he know, in just eight years, his leadership would propel the USMNT to fail to qualify for the 2018 World Cup. There he goes again talking about outreach, four years after his initial comments. Did he do anything in those four years? Did he enact any programs or institute any initiatives aimed at addressing this problem? With the benefit of hindsight, we know that this problem, which was identified in his first months as President, persisted and was perhaps, even, exacerbated during his tenure. His words ring hollow. Taking responsibility for failures has never been Gulati’s style, and, here, he claims to take responsibility for our stunted player development. The US Soccer landscape was, and still is, dramatically different than that of Argentina and what steps did Gulati take to imitate and bridge the gap to the global elite? It’s jarring to re-read the statements of the man who was tasked with leading US Soccer for more than a decade and noting i) how little was accomplished, ii) how little he was held accountable, and iii) how little the public seemed to notice, until recently. In their election recap, Stars and Stripes asserts Cordeiro “deserves a chance”. …there are legitimate concerns with how he will run the federation, however much of the criticism, and abuse as the case may be, directed toward Cordeiro seems to stem from who he is rather than what he has said he will do. Unless he gives a reason for stakeholders and fans to lose faith in him as USSF President, it would be unfair to reject him before his tenure even begins. I vehemently disagree. Upon reviewing Gulati’s Presidency, which was marred by mistakes and stagnation, Cordeiro is guilty by association until he proves otherwise. At this point (and we will go into more later), his words should not be trusted at face value. He should be consistently challenged to prove his critics wrong and that he will uphold his word. So, to all of you, fans and media alike, encouraging people to give Cordeiro a chance and believe his campaign slogans, I say I’ll believe it when I see it. I’ve experienced more than a decade of empty promises so I’m going to exercise skepticism with Cordeiro. Until he does anything to suggest otherwise, I don’t accept his words. Given the fact that he’s been part of the USSF for a decade and given the USSF’s track record of maintaining the status quo, I have little faith. In this section, I want to highlight some of the fundamental systemic failures of the USSF which undermine the legitimacy and efficacy of any efforts at reform under a largely unchanged administration. There is a false sense of stability of our closed professional system. This article lists the more than dozen American soccer teams that have folded, moved, or ceased operations in the last five years alone. The narrative of heightened risk from an open system is false. In fact, countries across the globe rarely experience clubs running out of business. The real myth is the false sense of security of our fragile, closed system. I have inserted a tweet and screenshot from Glen Crooks on Hope Solo’s comments about Cordeiro, Carter, and their role in the failures of US Soccer over the past decade. It’s difficult to dispute anything Solo asserts on the morning of the election in her scathing takedown of Carter and Cordeiro and what they represent. The story that epitomizes the fissures of our broken system is Jonathan Gonzalez’s decision to switch to Mexico. Without delving into the details, which have been discussed and dissected ad nauseum here, here, and here, I will illustrate the USSF’s incompetence in broad strokes. We have a talented player who is born in America, competes for our youth national teams on numerous occasions, and desires to play for the USMNT. We are in the driver’s seat and have to royally drop the ball to lose a player who has consistently demonstrated commitment to US Soccer along the way. As we know, Gonzalez did flip to Mexico so where did the USSF go wrong? Initially, the USSF fed the narrative that Gonzalez simply had a “change of heart” and switched allegiance to Mexico, which turned out to be untrue. The USSF neglected the player at a time when reaching out to players, particularly young ones, was of paramount importance. More alarmingly, Dave Sarachan, interim USMNT manager, revealed he had no idea Gonzalez was having cold feet. The federation’s infrastructure for player outreach, recruitment, and relationship building should not fall apart with the change of a national team manager. It was reported, not by a mainstream journalist of course, that Gonzalez’s family felt “bullied” and “unappreciated” by US Soccer in the past. The USSF, in an attempt to save face, lied about visiting Gonzalez three times. When news of their lying surfaced, the USSF admitted their deceit but defended their approach, despite evidence to the contrary. Here’s a quick summary of the USSF’s playbook. First, spin the story to conceal the truth. Next, lie to cover your mistakes. Then, get caught in the lie and reframe the story. Finally, ignore and rely on the media to move on and not hold your feet to the fire. Losing a dual national is not the problem here. Each player has the right to select to play for the nation of their choosing. The USSF’s job is to make their best pitch at persuading a player why the US is the best option for them. At that point, it’s up to a player to decide and let the cards fall as they may. For example, the USSF did everything in their power to recruit Giuseppe Rossi, but he ultimately chose to play for Italy. There is absolutely nothing wrong with that. What is disconcerting is the USSF’s response and reaction to their mistakes. Did the USSF accept blame and learn from this experience? Did they contemplate ideas on how to better recruit dual-nationals, build healthier relationships, and foster an environment where they chose to play for the U.S. rather than their other options? The answer to both questions is a resounding no. As the story unfolded, many troubling details and anecdotes emerged. For example, Grant Wahl reported that Thomas Rongen is the lone full-time scout for the U.S. Let that sink in. A country of more than 300 million has one full-time scout. These are the basics! Heck, these are beneath the basics. The USSF cannot even competently handle the most elementary tasks. Another disturbing example was Brad Rothenberg’s revelation that Tony Lepore, U.S. Soccer’s Director of Talent Identification, “notified us (Sueño Alianza) in 2016 that they weren’t interested in participating in Alianza since they haven’t found any elite players”. This is an organization with an extended track record of launching the professional careers of scores of players, and, yet, US Soccer is not interested. US Soccer’s outright disregard of a massive talent pool is beyond gross negligence and raises so many questions. It shows that they don’t care about exploring every channel to become the best they can be. The entire Jonathan Gonzalez situation epitomizes the dysfunction, disarray, arrogance, and ineptitude of the USSF. The powers to be have demonstrated an inability to establish even the most rudimentary of systems, such as channels of communication with players, and have exhausted their credibility time and time again. I don’t believe a largely unchanged Board can right the ship as they lack the oversight, track record, and expertise to enact meaningful reform. As an ardent soccer supporter, I have collected and archived countless articles on US Soccer. Following this momentous election, I decided to revisit many of these articles to uncover fresh insights with the benefit of hindsight and perspective. The troubling theme I discovered is the incongruity with the tenor of coverage and the reality of the situations being reported on. I will provide numerous examples that illustrate the depths to which the media are divorced from reality. Here is a quote from Davis’ article from April 2017, less than nine months ago, with Bruce Arena. “So, I think 2026 will be the time where we are going to start talking about winning a World Cup, to be honest with you.” Yeah, he took it there. The United States, quarterfinalist at its best – and that was back in 2002 – as a real-deal World Cup contender nine years from now? He may not exactly be right – but he’s not really wrong, either. How do we expect to be taken seriously? This is an outrageous claim with no tether to reality. The USMNT has only won multiple games at a World Cup once and has five total victories in their modern history. There is no mention of these damming statistics, of course. Yet this is the media and the stories they promulgate that we are forced to contend with. Here are some passages from Sciaretta following the USSF election. Wow, just wow. There so much wrong in just three paragraphs. There can be multiple establishment candidates and both Carter, the President of SUM, and Cordeiro, a long-time Board member and current USSF VP, were establishment candidates. Full stop. There is no two ways about that and no way to spin it otherwise. The USMNT’s failure to qualify worked against Carter? How does that make any sense? Carter has many faults, but the USMNT’s failure to qualify is not one of them. Cordeiro, on the other hand, does bear responsibility, and, yet, Sciaretta places his blame elsewhere. Announcing his candidacy prior to Gulati confirming his plans to walk away was not bold. Gulati was a lame-duck who just oversaw the biggest failure of his organization’s history, which negated his chances of winning the election. Cordeiro’s decision to run was a no-brainer. He was the sitting VP and the likeliest candidate to win. Gulati was simply too arrogant to step aside in a timely manner. That is not a credit to Cordeiro. And to suggest it was a divergence from the status quo is disingenuous. The “insider / outsider” line was a marketing ploy whose effectiveness reveals the dysfunction of the media. He was unable to convince people (please refer to Wahl’s poling figures below). He was able to convince media cronies. I’d welcome Sciaretta to explain how the landscape of US Soccer will be different under Cordeiro’s reign than that of Gulati. Finally, he also seems to know what he doesn’t know. He’s not a soccer guy and doesn’t necessarily pretend to be one. We are confusing humility with lack of qualifications. Yes, it is important for leaders to recognize their limitations and weaknesses. But, it’s also expected that they possess basic skills as prerequisites for their job. It’s unbelievable that we even have to discuss the head of US Soccer’s lack of soccer knowledge, let alone spin it as an attribute rather than grounds for immediate disqualification from the position. Yet here we are. Here is a blurb from Wahl’s article. Of course, it remains to be seen whether Cordeiro can win over the public. In my Twitter poll conducted in late December that had more than 12,000 votes, Cordeiro got just 4 percent of the vote when users were asked to choose among him, Martino (44 percent), Eric Wynalda (41 percent) and Carter (11 percent). In a vote among the American Outlaws supporters group last week, Cordeiro finished dead last among the eight candidates, receiving just 1.3 percent of 904 votes. Why doesn’t Wahl, or any other journalist, investigate this further? The cognitive dissonance between the public and those of voters is a newsworthy story that has not been explored or reported on in any depth. It exemplifies the failure to uphold the core values of journalism, and I’m not the only one who thinks so (see below). Here is a series of statements from Strauss’ interview with Carlos Cordeiro from December 2017. How gross and offensive is that statement? Open. Inclusive. Transparent. Not even Gulati would look you in the eye and profess those adjectives in a discussion of US Soccer. Those are the opposite of the core values the USSF has espoused in their actions for the past two decades. Open? US Soccer is anything but open. Our soccer landscape is a closed pyramid that caters to MLS at the expense of everybody else who are consistently marginalized and cast aside. Inclusive? This is a joke, right? There are countless examples of exclusivity, discrimination, and outright disregard for underserved groups. Do we need to re-hash the debate on inclusion that has been exposed endlessly in the wake of the Jonathan Gonzalez fiasco? Transparent? Give me a break. The USSF is about as transparent as a brick wall. I will not regurgitate the numerous conflicts of interest and undue influence of SUM, but there have been several pieces and multiple lawsuits outlining the arrangements. Here’s another clue about the sincerity of the USSF’s promise of transparency. Cordeiro does not believe in making the President a paid position, which prohibits many viable entrants from considering the role, thereby limiting the candidate pool. Moreover, it lends itself to shady (and potentially corrupt) business dealings to compensate the President’s efforts with alternative modes of remuneration. If Cordeiro is serious about transparency and is not simply paying lip service, he should seek to disclose all pertinent compensation of USSF Board members for any soccer-related activities or other such activities that may impair their judgement in USSF matters. Gee, if there was only something Cordeiro could have done to prevent such stagnation. It’s as if he had no ability to influence decision-making as a Board member or VP for the past eleven years. Oh, that’s interesting. We need more money? Without delving into why money won’t solve our problems, I find it convenient that a prominent decision-maker of an organization that chose to repeatedly renew its existing agreement with SUM without exploring the true market value of their broadcast rights via competitive bidding is complaining about revenues and budget. Again, where are the investigative efforts by journalists to explore this topic? Virtually every interested party who has examined the matter suspects the USSF is getting hosed in the deal. As mentioned above, the media has a duty to promote transparency and hold truth to power. Let’s be very clear about the business side of things. MLS readily admits it loses money and draws a meager viewing audience and yet SUM is valued at over $2 billion. You don’t have to be a financial expert to understand that the broadcast rights of USSF properties are driving that value, not fledgling MLS viewership. However, by repeatedly renewing the arrangement with SUM, the USSF has ensured that the owners of MLS are the ones reaping the benefits on the backs of USSF’s intellectual property and to the detriment of the stakeholders of soccer in America. Kartik Krishnaiyer echoes the sentiment below. Despite having access to the USSF annual budgets (these are public documents), the money received by the Federation for the TV rights package from SUM isn’t apparent because it is rolled into a larger line item related to sponsorships. But educated analysis by many has led to the conclusion that the Federation is being severely shortchanged its fair share of television dollars. Here is a selection from Bushnell’s article on how Cordeiro distanced himself from the status quo. The commercial committee would be chaired by one of the board’s three independent directors, and would oversee the negotiations of the federation’s business deals, including its partnership with SUM. “There has been no [board] oversight of any of our commercial activities,” Cordeiro says. “Our longer-term contracts with sponsors, broadcasters, the marketing entity, that basically has not been brought to the board for a full-fledged, vetted discussion. Why doesn’t this article challenge Cordeiro on his promises? It’s disingenuous to present these campaign pledges without the devil’s advocate side of the equation. For instance, why not ask Cordeiro if he ever raised these concerns to the Board during his eleven years? If so, how did the Board address his concerns? Did they dismiss his concerns? And so on and so forth. Cordeiro has done nothing to indicate that these words are anything but vacuous maneuvers to curry favor for his electoral victory. Given the backroom dealings and intimidation that have endured for decades in US Soccer, it is critical to evaluate whether the media’s judgment has been compromised. There is evidence that the soccer media has not extended equal treatment to all parties. For instance, after Eric Wynalda emerged as the initial and loudest symbol of the reform movement, the NY Times posted an expose on Wynalda’s financial problems. In doing so, the media demonstrated that it is capable of digging up dirt on powerful figures in US Soccer but their choice of targets casts aspersions on whether they treat all parties fairly, which is highly doubtful. As mentioned previously, there are numerous people and relationships ripe for investigation that never went explored. Where were the stories on Gulati and Cordeiro’s relationship with Chuck Blazer and other FIFA miscreants? It’s troubling that someone’s political viewpoints shaped the manner in which the media covered them. And to those peddling the idea that the status quo did not win, please rationalize the post-election bashing of Wynalda and other reform candidates, for the matter. The vitriol reveals the fear that anti-establishment fervor stirred from those who are deathly afraid of change. It’s disheartening that those who fought for transparency and reform were ostracized. Fortunately, although many prominent soccer journalists were guilty of a dereliction of duty, there were outsider voices who communicated harsh, but fair, criticisms where they saw appropriate. In this section, I want to give credit to those journalists who were unafraid to presented multiple sides of a story, even if they were negative. Here is a snippet from his story. Understand that winning three out of 10 games against this group of CONCACAF nations is really, really bad. Enough talk about how scary San Pedro de Sula is. Sure, they’re gritty and committed and proud to be playing for their country. Most national teams, including the U.S., generally are. When two teams are gritty and committed other factors make all the difference. Like the quality of the players. Can you imagine Wahl or any of the like saying something like this? That aversion to the truth, even if it may hurt feelings, and instinct to protect the establishment is endemic. Here is a statement from Chris Anderson, author of The Numbers Game. Ding Ding Ding! Talk about hitting the nail on the head. It’s startling to consider that Cordeiro, whose biggest weakness is his lack of soccer knowledge, was elected. His modesty does negate his ignorance. Here are some excellent extracts from Cleveland’s article. Sunil Gulati stooped pretty low when he took to the stage at the 2018 Youth Soccer Awards. Rather than talk about youth soccer, he spoke for nearly 20 minutes about what he called misconceptions about the state of soccer in the US. Gulati begins by proclaiming that he wants to address misinformation in the USSF campaign. The current USSF president did this by illustrating that truth is a subjective idea, creating a narrative around the federation that diminishes its failures while passive-aggressively criticizing the ideas of some candidates. None of what Gulati brings up responds to why there is so much discontent with the federation that he led for almost 12 years, or even acknowledges that there are challenges that need to be overcome in the next four years and beyond. Thank you, Parker. Where can we get more stories like this that call out the USSF’s BS for what it is? That’s it – one game. A single game to Trinidad and Tobago. That is the entirety of the problems the federation has. Not losing four games, including two at home, in the Hex. Not failing to appear in the men’s Olympic tournament since 2008. Not failing to win more than two Men’s World Cup games since 2002. Not the fact that the USWNT scored just one goal in their last tournament. The idea that losing one game – one – to Trinidad and Tobago is why discussions have emerged about the federation’s challenges is a mind-bogglingly obtuse premise upon which to base a defense of the federation. That is how you convey a story and report the truth. How come there weren’t other journalists calling out Gulati’s pitiful tirade for what it was – an unsuccessful attempt to re-write history, save face and protect his legacy? Moreover, why weren’t his numerous assertions investigated? Gulati makes several statements about FIFA compliance conflicting with U.S. law, training and solidarity payments, and conversations with the MLSPU. I would love to understand if what he said is true, but I have yet to see a media outlet investigate those claims. To me, that shows the media either does not care or is incapable of pursuing such matters, which is a shame. In the previous passage, Gulati attempted to peddle a reality in which everything was honky dory for US Soccer, and, had “one game” (or had the ball rolled “a few inches” the other way) transpired differently, everything would be fine. The “inches wide” concept is extremely important and delves into the nuances required to critically evaluate performance. However, I continue to see it repeatedly misused in attempts to control the narrative and spin the facts. The truth is the USMNT were mightily close (which probably exacerbated the tragedy) to qualifying for the World Cup, and, if the ball had bounced differently on one play, the USMNT would be preparing for Russia in a few months. That the ball bouncing one way or the other happened to have large ramifications (making vs not making the World Cup) should not overshadow the big picture. The fact that narrative swings so wildly depending on one bounce of the ball demonstrates the lack of sophistication of the media. The story, whether the ball rolled in or out, was the USMNT’s dreadful qualifying campaign. They won 3 of 10 matches. Their record on the road was 0-2-3. They finished fifth out of sixth in CONCACAF. That performance is atrocious. And what’s alarming is that this did not come out of the blue – as mentioned above, the USMNT has been experiencing a declining trend in their performance. I’m tired of witnessing USSF officials hawk the “one game” excuse to assuage criticism. It’s shameful to use “one game” when it’s in your favor and to ignore it when it’s contrary to your interests. For example, the USSF constantly champions the USMNT’s quarterfinal run in the 2002 World Cup and the semi-final victory over Spain in the 2009 Confederation Cup (probably the two crowning achievements in USMNT history). What the USSF neglects to mention is the USMNT, in control of their own destiny, laid an egg against Poland (losing 3-1 after falling behind 3-0) in the final game of the 2002 group stages and was all but eliminated until South Korea earned an unlikely 1-0 victory against Portugal in their final game. Absent the assist from South Korea, there is no magical quarter-final run in 2002, but, you’ll nary hear that version of events from the USSF. I haven’t heard Gulati use “one game” in reference to the final matchday of Group D in 2002. The USMNT benefited from similar good fortune in 2009 where it advanced to the semi-finals despite going 1-2 in the group stages with 3-1 and 3-0 losses to Italy and Brazil, respectively. On the final matchday of the group stages, the USMNT needed to overcome a six goal differential, which they miraculously did thanks to a 3-0 win over Egypt, a 3-0 win by Brazil over Italy, and a tiebreaker rule (scoring one more goal than Italy in the group stages). Barring Brazil’s blowout, the USMNT exits the tournament with little to show for itself. Again, this is largely forgotten by the USSF but qualifies for their definition of “one game”. Here’s a litmus test. Had the USMNT qualified for the World Cup, how do you think they would fare in Russia? Before diving into some facts, ask yourself what your honest expectation would have been. I contend that the USMNT would have bowed out in the group stages after a largely underwhelming set of performances, and believe there is little rationale argument to suggest otherwise. The USMNT’s World Cup record in Europe is 0-8-1 with a -14 goal differential. The USMNT failed to win an away game in the Hexagonal. The USMNT averages well below one win per World Cup. So, Gulati, I think the relevant points are how close the USMNT were to failure that one bounce of the ball could even factor into their qualifying campaign and that, even if the USMNT did qualify, recent performance and history would suggest the USMNT would struggle mightily in Russia. What does all of this mean for Cordeiro and what should we expect from his Presidency? Let’s start by returning to Cordeiro’s campaign platform, which urges US Soccer to “Aim Higher”. After carefully reading his website and digesting most of his media forays during the campaign, I am left unimpressed and underwhelmed. Cordeiro’s Presidential campaign consists primarily of what I refer to as “ideas of ideas”. He has few direct plans or action items. There are few concrete ideas with a clear directive; instead, he trumpets sweeping platitudes (i.e. “promote a more unified Youth Soccer landscape”, “grow adult soccer”, and “treat referees with greater respect”). These amorphous goals are immeasurable and purposely imprecise to curtail scrutiny. I’m not against these governance ideals in concept, but I am concerned by them in practice, particularly considering the absence of any other direct ideas, because they indicate a man without a plan. Division of labor is fantastic, and I am happy to move away from the autocratic tendencies of Gulati’s Presidency, but it is important to have a leader who knows what he is doing so he can provide direction, guide conversations, and identify key priorities to address. Cordeiro is a sitting VP and long-time Board member. If he harbored any intentions of running for President, which he obviously did, he should be able to hit the ground running from day one. He has been equipped with every tool at his disposal to insert himself into the job right away. However, I don’t see any direction from his platform other than instituting better governance controls. Does anyone have any sense of what type of soccer decisions Cordeiro will advocate? More importantly, I don’t believe additional committees or appointments are the change agent or catalyst that US Soccer needs, particularly when made by the USSF Board members who have demonstrated an unsatisfactory track record of decision-making and a proclivity towards favoritism of SUM / MLS at the expense of the greater good of US Soccer as a whole. I believe Cordeiro’s reputation has benefited from a couple of undeserved factors. One, by simply not being Gulati, he has been absolved of any sins, ill will, or baggage associated with Gulati’s tenure. Gulati has served as scapegoat for the entirety of the USSF, leaving other guilty parties, like Cordeiro, unscathed in the court of public opinion. Second, Cordeiro is a blank slate who has kept a low public profile so there is not much known about him and he comes off as inoffensive. People can project onto him their own views since he has little public record to contradict or dispute those projections. In summation, I find the lack of substance and details of his ideas to be concerning. Cordeiro does not explain how he will execute any of his promises. How will he be held accountable for such indeterminate and nebulous goals? His notion of empowering the Board and stripping unilateral authority away from the Presidency is admirable, but that demands a lot from a Board whose track record does not instill confidence in being able to effectively govern and decision-make. Moreover, these ideas are agnostic to Cordeiro’s Presidential victory and could have been raised at any point during his time on the Board, independent of whether he won the election or continued in his role as VP, which better suits his skill set. In closing, I’m left wondering what Cordeiro will do that makes his Presidency any different than that of Gulati because I’m struggling to see any meaningful divergence. Now that we have covered what he has said, let’s review what he has done during his time in power and what he indicated he will do during his Presidency. Based on what Cordeiro has said in recent months, he clearly disagreed with Gulati’s single-headed leadership style. However, if that’s the case, that means Cordeiro sat idly while Gulati flexed his autocratic muscles for more than a decade. We have no evidence he ever raised those concerns to the Board? What does that say about his propensity to empower his Board members? I guess it’s another case of do as I say, not as I do. Practically the only thing Cordeiro (and Gulati has echoed) has consistently reiterated is the fact that his number one priority is to secure the 2026 World Cup bid, which speaks volumes and tips Cordeiro’s hand. There is a reason the establishment candidates focused an undue amount of attention on the World Cup bid, whereas the reformers focused their attention elsewhere. First, let’s be clear. Landing the 2026 World Cup bid does not fix any structural or systemic issues with US Soccer. Just as the 1994 World Cup and the 2016 Copa America Centenario did not solve US Soccer’s problems, neither will hosting the 2026 World Cup. What the 2026 World Cup does bring is money and lots of it. It is important to understand who stands to benefit from this cash infusion, namely SUM / MLS and the USSF, though, to a lesser extent. SUM / MLS, who expect to continue to control the broadcast rights during the 2026 World Cup, stand to see their wallets explode if North America lands the World Cup bid. The USSF, as co-host, will rake in cash from ticket sales and corporate sponsorships. Cordeiro’s World Cup prioritization answers the question of what his motivations are, how he thinks about the role of the USSF, and who he serves. It also strengthens his link to Gulati. Hosting a World Cup is not a panacea to all that ails US Soccer. It will stockpile the coffers of SUM / MLS and the USSF so I understand why Cordeiro (and Gulati) are motivated to pursue it, but it’s not the solution. Shifting gears, let’s explore Cordeiro’s so-called “departure” from Gulati. If Cordeiro, is so different from Gulati, we should expect him to address some of those issues (mentioned in Gulati’s post-mortem) right away, right? Will he be as transparent as he proclaims to be? Will he disclose the pertinent details of concealed arrangements with SUM to allay concerns of perceived MLS favoritism? Will he vow to eliminate conflicts of interest and perceived biases of USSF Board members? Will he address gender inequality? Inclusion / Outreach to Diverse communities? Player development, scouting, and player identification? Ongoing litigation against the USSF / its Board members? Declining results from both the men’s and women’s national teams? How about training and solidarity payments? As detailed in Liviu Bird’s interview with Hugo Schoukens, CEO of Double PASS, the USSF has directly dis-incentived player development in America. You’d think a Goldman Sachs banker (or former World Bank economist, for that matter) would understand this simple principle of economics. Based on their actions, it appears their (Cordeiro, Gulati, and USSF) primary economic concerns are the enrichment of their close circle of friends and colleagues at SUM / MLS. How about fostering and cultivating grassroots soccer? I highly doubt it. Read these player tribune articles from Kimmich, Jesus, Alves, and Marcelo. There are many commonalities in their stories – perseverance, determination, ambition, confidence, overcoming serious trials and tribulations, sacrifice, etc… Think about the US Soccer landscape. These qualities are, by and large, absent. Speaking of The Player’s Tribune, recall what Pulisic asserts was the biggest break in his career – his Croatian passport. He does not cite any USSF initiative; instead, he credits his escape route from US Soccer as his most important opportunity. He also notes the disparity between soccer cultures in other countries where soccer is part of the “social fabric” and permeates the cultural “sense of identity” relative to the U.S.
Geoff Cameron echoes and elaborates on Pulisic’s sentiments. He describes the mentality required to make it in Europe and contrasts that with the American modes of thinking that center on physical attributes and reputation rather than ability, attitude, and drive. It’s too bad his words fell onto deaf ears at the USSF election. I am unconvinced by Cordeiro. I think we will see the same misguided and ineffectual attempts at solutions under his administration as that of Gulati. I think the list of problems shown above will expand, rather than contract, under his leadership. Now that I have shared my thoughts on US Soccer’s numerous problems, I’d like to offer some calls to action that can help ameliorate the state of soccer in America. Here are some suggestions on how they media can conduct themselves to stimulate a productive journalistic landscape. By the end of the month, which is more than generous considering Cordeiro’s tenure on the Board, the media should ascertain in precise detail what Cordeiro endeavors to achieve. Then, in four years, it will be relatively straightforward to assess his performance and evaluate whether he accomplished his objectives. In the next few weeks, we will see which media members are serious and which are pawns for the establishment. Look out for folks who try to understand (and get on the record) what Cordeiro’s goals are and establish the framework by which he should be evaluated and held accountable (which did not occur for Gulati). Look out for folks who push Cordeiro to distill concrete policies and action items rather than the vague, sweeping platitudes he touted throughout his campaign. Look out for folks who challenge Cordeiro to answer why these agenda items were not pursued during his decade plus tenure on the Board and as VP. It’s shameful that the USSF voting constituencies did not demand this level of detail and transparency (buzzword!) from each of the candidates prior to the election and this must be done after the fact. For example, investigate the cognitive dissonance displayed in Grant Wahl’s article to discover why fans feel so differently than the USSF voting constituents and to determine how they can have their voices heard. For a more concrete example, look no further than the recent announcement of US national team friendlies, which include a USMNT’s game vs Paraguay scheduled to be played at WakeMed Soccer Park, a 10,000 seat stadium in Cary, NC, that does not meet the USSF’s own minimum stadium capacity requirement for division one sanctioned professional soccer teams. If this stadium is acceptable for our national team, the crown jewel of the federation, why is it insufficient for a professional team? The truth is the USSF is a hypocritical organization that plays fast and loose with its own rules. In reality, US national team attendance, both for men and women, has been weak, and the USSF does not want to project an image of weakness by hosting another game at a half empty stadium. As such, their solution is to play this upcoming, meaningless friendly in a stadium that they argue is too small to comply with the professional standards of a division one team. It is completely bogus. This is the type of organization that the USSF is. Kudos to Billy Haisley for his reflections on the election. He nails it. In the end what won Cordeiro the election was his riding that middle road as a candidate open to change yet also one close enough to the establishment not to rock the boat too hard. But this vision of his makes the same mistake as most attempts at technocratic leadership do by pretending things like efficiency and expertise can supersede things like philosophies and principles. The big questions facing American soccer aren’t ones that can be resolved through savvier execution of U.S. Soccer’s current strategies; they’re ones that require a philosophical rethinking of the kind of soccer country we want to be and how we can get there—a re-evaluation of the game’s foundational principles. It’s not a matter of doing the things we’re already doing, just doing them better; it’s a matter of coming up with an entirely new way of doing things. Promotion and relegation won’t just happen overnight because some accountant crunched the numbers and his calculator spat back a projected income level higher than the previous year’s. It’ll take a serious, iconoclastic leader to propose and enforce things like that, and decisions on that level are the kinds we’ll need if we’re ever to become a top soccer nation. This times a million! The problems facing US soccer require “philosophical rethinking”. US Soccer’s failings are not a result of poor execution of a sound plan, though execution is certainly not a strength of US Soccer. US Soccer’s failings are the pursuit of wrong-headed foundational principles. I won’t belabor the arguments made by many on the merits of promotion and relegation, but they argue persuasively for a seismic shift in the tectonic plates of US Soccer’s bedrock. Ideally it would be the U.S. Soccer president who would have this vision for a new and improved American soccer system and with their mandate go about effecting the changes they see as necessary for the sport’s advancement. Cordeiro, however, didn’t run on any broad philosophical platform, and apparently doesn’t see the need for any serious rethinking of the status quo—hence his hands-off, technocratic campaign. In fact, his whole plan is to minimize the position of the presidency altogether. This would further empower the U.S. Soccer board as the true force driving the sport, with the non-ideological president and his GMs merely serving to best implement the practices the board favors. And something tells me—as evidenced by the presidential voting itself, which overwhelmingly favored Cordeiro and Carter, the two establishment candidates—that the board’s preferred future doesn’t include much in the way of seismic shifts to the existing soccer structure. Ultimately, all we can do is wait and see. Cordeiro could be the agent for change he claims to be, though there’s no real reason to believe it sans any hard proof, not after he’d been Gulati’s right-hand man for years and never pushed through any of the kinds of changes he now claims to support. More likely is that he’ll be a president much like Gulati, one widely popular with the contented figures at the top of U.S. Soccer and not the visionary we need to prioritize the game’s development over empty financial growth. Again, well said. Cordeiro “doesn’t see the need for any serious rethinking of the status quo”. Spot on. This will be four more years along the same trajectory. Cordeiro will implement sounder governance, but the people at the table and the agenda – increasing USSF revenues, promoting MLS, and securing the 2026 World Cup bid – are the same. If there is any hope for soccer’s future, however, it’s that the American fanbase has finally awoken to the fact that the current trajectory of American soccer is far short of the path we should be on, and that it will take new ideas for this country to realize its enormous potential in the sport. That candidates like Wynalda and Kyle Martino and Hope Solo got as far as they did and engendered such fervent support from fans does prove there is a very real hunger out there for significant alterations to how soccer is coached and played and developed and structured around here, which is a legitimately heartening sign even if the majority of those inside U.S. Soccer think things are fine as is. So while Cordeiro looks like he’ll probably be more of the same, it’s incumbent on the rest of us to continue to make it clear that more of the same will not cut it. Perfectly said! The goal should be to continue to prove to the masses that the status quo is ineffectual and to organize a credible movement capable of toppling the power structure at the USSF. Mozena, quoting Milton Friedman, makes an astute point. Given the voting structure at the USSF, an alternative pathway to defeating the current “MLS-first” regime is to swing the incentives away from MLS and towards the masses. If fans and organizations continue to demand transparency, to force the USSF to be held accountable to all stakeholders, to reject the status quo (and its mediocre results), and to fight the inequities of the USSF via litigation, perhaps we can sway the pendulum away from the few and towards the masses. Following everything that’s transpired in recent months (and really for decades), I, and I know I speak for scores of US fans, am left with nothing but a sour taste in my mouth and am resigned to cynicism when it comes to the USSF. I have serious concerns about the competence and aptitude of those appointed to lead and cultivate soccer, to all stakeholders, in America. The USSF Presidential election was an inflection point and an opportunity for much-needed change that was denied. Despite numerous and recurring examples of failures and missteps, it was not until the biggest shoe dropped – missing the World Cup – that any real conversation started taking place. And, yet, that catastrophic failure did not spark any fundamental change. Garber and Carter still wield their power at SUM / MLS, Gulati is still intimately involved with US Soccer as an USSF Board member and chair of the World Cup bid, and Cordeiro shifts one seat over from VP to President. The prioritization of landing the 2026 World Cup bid is the red herring that exposes Cordeiro’s and the USSF’s motivations. It is meant to make money and benefit SUM / MLS, but neither of those outcomes will solve US Soccer’s problems. We could drop a billion dollars into the USSF bank account overnight, and they would have no idea how to spend it effectively to galvanize meaningful change. There is no substitute for an open market with opportunity for everyone. No amount of grants, futsal courts, or coaching subsidies can replace the incentives of a meritocratic, open pyramid. I’m unconvinced we won’t be standing in an eerily similar position in four years. In all likelihood, given our structural advantages and despite repeated bouts of ineptitude, we will qualify for the next World Cup though I have little faith that the critical issues will be resolved. I’m sure Cordeiro will “do” things, but I don’t believe he or anyone on the Board has the wherewithal to elicit the necessary reforms. If we didn’t overhaul the system on the heels of our biggest failure in history, what makes me think we are heading down any path other than the current rudderless USSF / MLS ship? The next key opportunity for change to monitor is the VP opening. How the USSF handles the VP opening will signal which direction the USSF is heading. Moreover, if a “reformer” candidate becomes VP they will have the chance to initiate reform and will likely have the inside track to the Presidency in four years. After a week of reflection, I’m left with similar emotions as I started but with one key difference. Although I fear we may be resigned to another decade of mediocrity as Cordeiro and Gulati single-mindedly focus on landing the 2026 World Cup bid, I have a renewed sense of hope that the agents of change will not retreat or surrender. Instead, they will continue their fight because I think they can and will make the difference. There are too many people determined to crusade against the USSF and will not back down until the changes needed in US Soccer are achieved. If he had any chance of winning, the US Soccer is even more broken than I thought, and you’re currently reading my dissertation on the topic. For reference, the USMNT had safely achieved qualification prior to the last matchday for each World Cup since 1994. Thought I don’t think it is as highly probable as most would suspect. CONCACAF is becoming more competitive and the USMNT will not be able to sleepwalk their way through the Hex. The options are to i) leave the position vacant until next AGM in 2019, ii) convene a special meeting to conduct an election, or iii) conduct an election through a mail ballot. Atlanta United: What Does its Success Mean for MLS and US Soccer? Atlanta United just completed the most successful inaugural season in MLS history. The team set league-wide attendance records, played attractive, attack-minded soccer (a rarity in MLS), and created the blueprint for MLS clubs to emulate. Is Atlanta United’s success a cause for concern or celebration for MLS? While the league rejoices and calls Atlanta United “the biggest story in pro sports”, I believe the opposite is true. I believe Atlanta United’s success is an indictment of MLS and the closed system of US soccer. In one year, they proved themselves to be one of the league’s best teams and achieved something that less than a handful of teams can assert – a clear identity and style of play. All in less than twelve months. Imagine if Portland formed a baseball team and was contending for the World Series in year one. What does that say about the league and its model that a newcomer can supplant the incumbent competition in less than one year? And the most troubling part – Atlanta is not unique. They followed a basic formula that is easily replicated. If there was a soccer team from scratch starter kit, they simply followed the manual. Find a wealthy owner willing to spend money. Check. Hire experienced soccer professionals to run the day-to-day operations. Check. Bring in a qualified manager. Check. Purchase young, high-quality South American players. Check. Fill in the roster with veterans with MLS experience. Check. Invest in youth development and facilities. Check. Create a captive fanbase with community outreach programs. Check. There’s no fairy dust or magic potion involved. The recipe is straightforward and reproducible. My question is why were these stakeholders (players, coaching staff, administration, fans, etc…) deprived of this experience for twenty years? Absent a unilateral decision from MLS headquarters, none of Atlanta’s success exists. That is frightening. The system is backwards. But look at MLS’ progress over the past decade. I’d argue that nearly all the meaningful progress is attributable to expansion. Ten years ago, the following list of teams did not exist in America’s top division – Toronto FC, Seattle Sounders, Philadelphia Union, Vancouver Whitecaps, Portland Timbers, Montreal Impact, New York City FC, Orlando City, Minnesota United, and Atlanta United. I think the brass at MLS headquarters are afraid of ceding control. Right now, they are the gatekeepers. Under an open system, they lose their power. They speak of protecting soccer in this country and growing at their determined pace, but, frankly, it’s a noose around the neck of soccer’s potential in America. There is no valid reason for not formulating a plan to institute promotion and relegation outright within the next five years or so. The demand is there. The investment is there. The cities are there. There are kinks to be worked out, but they are manageable. MLS believes it can help address US Soccer’s failures through mandating certain amounts of domestic players or youth players on its rosters. However, there is no substitute for organic growth. Soccer happens at the grassroots level and infuses itself as part of the culture. It is built from the bottom up; not from the top down. An open ecosystem is the environment that cultivates that growth. No amount of scouting networks or MLS directives will solve that. There are so many underserved and untapped communities vying to join the party, but MLS shuts the door on them. Imagine the momentum soccer could build if every community (i.e. Stockade FC) who wants to form a team is allowed to do so. Nobody is asking for a handout. Clubs are willing to start from the bottom rung. They are just looking for a chance because the chance, no matter how remote, of glory is all it takes – it is the energy force that propels an ecosystem. The spillover effects of an open system are massive. It takes only one example of success to fan the hopes of a nation. A kid in Des Moines, a coach in El Paso, and a fan in Hartford may each commit to the sport if they see the possibility of gain that a free market permits. Under the current’s system design, what is the incentive for them to devote their time, energy and support to soccer in America? Stockade FC is the exception, not the rule, in a closed system. In an open market, the playing field is leveled and anyone has the potential to rise to the top. Stockade FC’s would become the norm and pop up all over the country. Perhaps if an open ecosystem existed, sophisticated American soccer investors would not choose to invest in Europe over the United States. Steve Nash, Kyle Martino, and Stuart Holden invested, as part of an ownership group, in Mallorca, a second division side in Spain. Martino, on his decision-making process, stated, “Stu and I sat for all of five seconds before we decided, ‘Yeah, we want to be involved in this’”. Opportunity. Opportunity is everything. And equal opportunity is what it’s all about. In every other soccer-playing country in the world, promotion and relegation exists. Clubs compete on the field (not in the boardroom) to see who rises to the top and who falls to the bottom. How many other Atlanta United’s are out there? MLS has been consistently surprised at expansion results, both positively and negatively. Why let them decide? They have neither the expertise nor wherewithal to do so (hint: no one can do this – that’s why we let the market decide). Why not open the system and allow the clubs to determine it on the field? How many opportunities are missed because of the limited opportunity set inherent in our closed structure? Think about what Atlanta United is going to do for soccer in Georgia. Now think of all the communities that are starved of this growth potential. In closing, I ask the following. Please answer honestly. Is soccer better off under our current system where market access is restricted except for an arbitrary selection process or a free market system like the one Nash, Martino, and Holden chose to invest in? Re-reading this article is eye-opening. Every time Garber uses the word “very” is an attempt to mislead. His statements do not address any of the substance of promotion and relegation. He speaks as if this is some unproven concept that isn’t employed by every other soccer-playing country in the world. In light of the USMNT’s dismal defeat to Trinidad & Tobago, which knocked them out of the World Cup and gave rise to a plethora of opinions on the state of the USMNT, I decided to perform a rigorous data-driven analysis of the USMNT’s results to crystallize my evaluation of the national team and the USSF. I’ve undergone a painstaking process to analyze and catalog key data on match details, such as date, location, opponent, manager, line-up, result, and score, from the last 27 years of international tournament competition which included 144 matches across five competitions – World Cup, Confederations Cup, Copa America, Gold Cup, and the Olympics – to assess any trends, good, bad, or indifferent, in USMNT performance. Without much further ado, let’s dive into the findings and lessons learned, which are as follows. The 1999 Confederations Cup team, which finished 4th, featured 8 players who competed in the 2002 World Cup (Friedel, Keller, Agoos, Berhalter, Hejduk, Lewis, Stewart, McBride), and the 2000 Olympics team, which also finished 4th, featured 5 starters from the 2002 World Cup opening game win over Portugal (Friedel, Agoos, Hejduk, O’Brien, Donovan) in addition to Tim Howard and Josh Wolff who started on the bench. The 2008 Olympics team, which did not advance from the group stages, featured many key players in the 2009 Confederations Cup (Guzan, Bradley, Feilhaber, Kljestan, Altidore, Davies) and 2010 World Cup (Guzan, Bradley, Feilhaber, Edu, Altidore). Moreover, the 2009 Confederations Cup team, which finished 2nd, featured 11 of 15 (73%) starters of 2010 World Cup games (Howard, DeMerit, Onyewu, Bocanegra, Bornstein, Bradley, Clark, Donovan, Torres, Dempsey, Altidore). Look at those names. A majority of the key players from the 2002 and 2010 World Cup teams gained invaluable international experience in the Confederations Cup and the Olympics leading up to the World Cup. Lesson Learned – It’s critically important to qualify for international tournaments (duh)! The table below displays USMNT managerial performance by competition. As the table illustrates, there is startlingly little difference in results amongst the managers. With the exception of Arena’s second stint as manager (where his only international competition was the 2017 Gold Cup), the five most recent managers all won between 57% and 62% of their matches, lost between 29% and 33% of their matches (with the exception of Sampson who lost 44% of his matches as he did not tie any games), and tied between 10% and 12% of their matches. I utilized another analysis to analyze managerial performance based on difficulty of opponent whereby I assigned each opponent a tier, rating 1-5, based upon the strength of the opponent. Tier 1 represents elite teams who regularly compete to win the World Cup (Top 8 teams: Brazil, Germany, Spain, etc…). Tier 2 represents teams that consistently make World Cups and expect to advance out of the group stages (Top 9 – 20 teams: The Netherlands, Uruguay, Portugal, etc…). Tier 3 represents teams that make World Cups but are not regularly expected to advance out of the group stages (Top 20-50 teams: Poland, Paraguay, Ghana, etc…). Tier 4 represents teams that rarely make the World Cup but are not complete push-overs (Top 50-100 teams: Honduras, Jamaica, Algeria). Tier 5 represents teams ranked outside of the top 100 and are very easy to defeat (Cuba, El Salvador, Grenada, etc…). Several distinct trends stand out after reviewing this table. First, USMNT performance is strongly correlated with the level of the opponent. The USMNT winning percentage and losing percentage goes from 19% and 76% to 35% and 50% to 49% and 33% to 90% and 7% to 100% and 0% as we transition from tier 1 through tier 5. These metrics show that the US has feasted upon CONCACAF minnows who comprise most of its Tier 4 and Tier 5 opponents, played decently against similar caliber components in tier 3 as it has won approximately half of its matches, and played poorly against stronger teams from tier 2 and tier 1 where it was won approximately a third and a fifth of its matches against opponents from those respective tiers. In assessing overall managerial performance, as mentioned above, there is no meaningful difference to discern between the managers, though there does appear to be a shifting trend in the composition of recent performance, as evidenced both by fewer wins against tier 1 and tier 2 teams and more losses and ties against tier 4 teams. Since 2007 when Bob Bradley became manager, the US has only won two games against tier 1 or 2 opponents with an overall record of 2-11-2. The two wins both came more than eight years ago with Bradley-helmed teams defeating Mexico in the 2007 Gold Cup Final and Spain in the 2009 Confederations Cup Semi-Final. Offsetting this underperformance against stronger competition, the USMNT has outperformed against tier 3 opponents with Bradley, Klinsmann, and Arena performing better than their predecessors against this subset. Lesson Learned – US Managers have performed roughly the same since 1990 based on overall results. Over the past ten years (with Bradley, Klinsmann, and Arena in charge), the USMNT’s underperformance against stronger opponents (tier 1 and tier 2) was offset by improved performance against similar quality opponents (tier 3). The table below displays Gold Cup results by decade and reveals a sobering trend. As evidenced by the table above, the USMNT’s performance in the Gold Cup has declined over the past three decades. In the 1990’s, the USMNT won every match besides two finals defeats to Mexico and a semi-final loss to Brazil, none of which can be viewed as a bad result. In the 2000’s, the USMNT fared well winning three Gold Cups (’02, ’05, and ’07) and 84% of its matches but started to show cracks against CONCACAF foes who previously could not earn a result against the US with ties against Costa Rica and Haiti. In the 2010’s, the USMNT officially shed its veneer of invincibility against CONCACAF opponents. In a decade where the US faced no CONMEBOL teams in the Gold Cup, the USMNT performed its worse with its lowest winning percentage despite not facing any nations from South America who are more challenging than their CONCACAF counterparts. Additionally, the US struggled mightily with Panama, losing twice and tying twice, and lost to Jamaica. Lesson Learned – The US is falling behind and losing ground to its CONCACAF opponents. The following tables, while informative and revealing, do not demand in-depth analysis so I will keep my discussion brief. Lesson Learned – Where games are played matter. The US performs best on its home continent (74% winning percentage) and wins less than half of its games on every other continent with particularly miserable results in Europe (7% winning percentage, 1-11-3 record) and South America (27% winning percentage). Lesson Learned – The confederation of the opponent matters. Similar to playing in Europe or South America, the USMNT struggles tremendously against teams from UEFA (11% winning percentage, 3-15-9 record) and CONMEBOL (26% winning percentage). The US has performed well (though to a lesser extent recently) against CONCACAF (83% winning percentage). The US has a slight advantage in matches against African (5-3-2 record) and Asian (5-2-1) opponents, though the 4-0 Olympic record against Asian teams slightly distorts the record against Asia. Lesson Learned – There is a stark contrast in performance relative to the level of competition. Said differently, the level of competition, rather than USMNT performance / quality, has been key determinant of results. The table displays a woeful record against tier 1 and tier 2 opponents in all competitions with the exception of tier 2 opponents in World Cups where the USMNT has defeated Colombia in 1994 and Portugal and Mexico in 2002 (more on that later). Overall, the USMT has a good record against tier 3-5 opponents besides tier 3 opponents in World Cups where the US has been dominated (mainly by UEFA teams as well Ghana, South Korea, and Iran) to a pitiful 1-9-3 record. In terms of the competitions themselves, the US has performed approximately the same in Confederations Cups and Copa Americas, winning approximately 37% of matches, losing 57% of matches, and tying 6% of matches. In the World Cup, results are more dire. The US has won less than 20% of its matches and has lost nearly 60% of its matches. In addition, the US has won only 5 World Cup matches total and will have just 2 World Cup victories to show for the 20-year period following the 2002 World Cup leading up to the 2022 World Cup. Now that we have discussed the data, let’s interpret the information and draw conclusions. The failure to qualify for 3 of the last 4 Olympics (including 2 consecutive) and 3 of the last 4 Confederations Cup (including 2 consecutive) is an underdiscussed topic and a significant disappointment as many key players were deprived of invaluable tournament experience against international competition. Virtually every key player in the modern era of the USMNT benefited from participation in one or both of these tournaments. The list includes Keller, Friedel, Howard, Agoos, Lalas, Hejduk, Beasley, Reyna, Bradley, Harkes, Donovan, Dempsey, Stewart, McBride, and Altidore and encompasses each member of the top 27 all-time cap leaders. Pay attention to the age of those players. Only Howard, Bradley, Dempsey, and Altidore have played in one of those tournaments since 2002. It’s no surprise that they have been the backbone of the USMNT over the past decade. There has been a notable void of key players in the shadow of these failures, and the USMNT has lost multiple generations of players through lack of qualification for these tournaments. The evidence corroborates this conclusion. Besides the 2014 World Cup, the US qualified for the Olympics and experienced Confederations Cup success before each of the World Cups (’94, ’02, and ’10) it advanced out of the group stage. In contrast, with the exception of the 1996 Olympics, the US did not qualify for the Olympics or the Confederations Cup prior to each of the World Cups (’98, ’06, and ’18) it failed to advance out of the group stages. Though Olympic qualification out of CONCACAF should be a slam dunk for the United States, it has demonstrated a repeated inability to do so, and while it is more difficult to qualify for the Confederations Cup, it is telling that the USMNT’s struggles in Confederations Cup qualification have coincided with declining performance during the same periods. I can’t help but wonder if the USMNT’s failure to qualify for World Cup 2018 would have occurred if they had the experience of playing in the 2017 Confederations Cup, which, lest we forget, was the result of two separate failures – losing the 2015 Gold Cup and losing the 2015 CONCACAF Cup playoff, each to Mexico. Missing these tournaments is a big deal and should not be taken lightly. The USMNT’s recurring failures in qualification illustrate the USSF’s systematic breakdowns in all facets of the game over many years. Contrary to popular opinion, I believe the findings of my analysis demonstrate that the player pool has weakened over time. I will concede that the pool has more depth (with more players in contention for roster spots), but the top 15 players has absolutely weakened. Please refer to the table below which shows the starters by positional group for matches at the 2002 World Cup, 2010 World Cup, 2014 World Cup, and 2017 World Cup qualification loss to Trinidad & Tobago. Let’s first evaluate each positional group before delving into discussion on the teams by vintage. In terms of goalkeeper, it’s mostly a wash as Friedel compares similarly to Howard in 2010 and Howard in 2014, though 2017 Howard is clearly the weakest of the bunch. In terms of defenders, there’s not a huge disparity amongst the four groups, though I’d contend there’s a declining trend from 2002 to 2017 (though it’s arguable that the 2014 group is superior to the 2010 group). In terms of midfielders, the 2002 group is clearly the class of the bunch with Reyna in his prime, a healthy O’Brien and in-form Mastroeni, Stewart, Lewis, and Beasley. The 2010, 2014, and 2017 renditions all feature players who epitomize the weakness of the top-end of the player pool. Clark, Torres, Edu, Davis, Zusi, and Arriola are all well below the standard internationally. Also, note the lack of quality wingers and 1-v-1 ability in the 2010, 2014, and 2017 (besides Pulisic) midfielder groups. In terms of forwards, the 2002 group is once again the top group. McBride, Donovan, and Mathis formed a potent trio and provided three unique scoring threats with Wolff adding some verve off the bench. The 2010 and 2014 groups are particularly dire. In hindsight, Findley and Gomez were nowhere near the level required for a World Cup, and Altidore was goalless in four starts in 2010. In 2014, Altidore was injured in game one and Dempsey was left as a lone forward, further illustrating the lack of reliable attacking options. 2017 Wood and Altidore were mercurial more than dependable but they comprise the second strongest group of forwards. This analysis is quite revealing. The 2002 World Cup team is clearly the strongest, boasting the best group of forwards and midfielders with arguably the best goalkeeper and defenders of the bunch. Moreover, this group was far more balanced, well-rounded, and devoid of glaring weaknesses that beset the 2010, 2014, and 2017 teams. 2002 had strong center defenders, up-and-down outside backs, box-to-box midfielders, wide midfielders, and multiple forward options. The 2010 team lacked speed, width, and dynamism in attack. The 2014 team lacked creativity in the midfield and struggled to generate quality attacking chances. The 2017 team combined many of these flaws with the addition of overreliance on Pulisic to create and score goals. I discussed in greater length here, but I will provide a quick overview of the opportunism that went the USMNT’s way in each of its greatest successes of the past 27 years. 1994 World Cup (Advanced to R16) – The US i) won 1 game (2-1 over Colombia), ii) played as the host nation, and iii) advanced despite finishing third place in its group. 2002 World Cup (Advanced to QF) – The US i) won 1 game (3-2 over Portugal, which nearly blew 3-0 lead) in the group stages and ii) laid an egg in its final game (1-3 loss to Poland, who was already eliminated from the tournament) only to be saved by a late South Korea goal vs Portugal. 2009 Confederations Cup (Runner-Up) – The US i) won 1 game (3-0 over Egypt) in the group stages, ii) lost twice badly in the group stages (1-3 to Italy and 0-3 to Brazil), and iii) advanced on the heels of an extremely favorable result (Brazil 3-0 over Italy). 2010 World Cup (Advanced to R16) – The US i) won 1 game (1-0 over Algeria with Donovan goal in stoppage time) and ii) secured a vital point vs England where a Dempsey shot from distance fell through the goalie’s hands. 2014 World Cup (Advanced to R16) – The US i) won 1 game (2-1 over Ghana) and ii) was thoroughly dominated in games against Germany and Belgium. I wrote the following in the article linked above. With the benefit of hindsight, I’d like to revise and clarify the aforementioned statements. Related to the first paragraph, I think it’s vital to emphasize that the USMNT’s two shining moments would never have happened if not for two extremely fortuitous results outside of the USMNT’s control. Related to the second paragraph, I would revise slightly above-average team to average team and reframe the closing point. The USMNT can beat a great team (in the sense that it has happened occasionally in the past) but there is no evidence to support the notion that the USMNT is capable of consistently competing with the best teams or is making up ground against the top 20 teams in the world. In contrast, the evidence points more convincingly in the other direction. The US has yet to play an international tournament where it has single-handedly earned advancement. Let that sink in. Sure, the US has advanced in past tournaments but it’s entirely plausible (as outlined above) that the US could stand in 2017 with never having advanced from the group stages of an international tournament if not for a few surprising (to say the least), fortuitous results and one or two lucky bounces. While I have limited my discussion in the preceding sections to the empirical evidence, my findings, and conclusions drawn, I will allow myself to editorialize in my closing paragraphs. The consensus punditry and media opinion that the US is improving is specious and divorced from reality. The USMNT has yet to play three complete performances in the group stages of any international tournament in the modern era. Given the sample size, this is not a fluke. This is a pattern. This is indicative of the quality of US soccer and an indictment of the program and the notion of “progress”. I think this is unacceptable. We should not be content with the past 27 years of results and the current path the ship of US soccer is on. The potential in our country is enormous and it is being squandered by the USSF. While I recognize the loss to Trinidad & Tobago and failure to qualify for the 2018 World Cup has served as a wakeup call for the common fan, in reality, the writing has been on the wall for years. The underlying issues have persisted under the reign of multiple managers and scores of different players so the common denominator is the powers to be at the USSF. Based on the findings, the USSF deserves significant criticism. The USMNT has failed to qualify for the most recent World Cup, 3 of the last 4 Confederations Cups, 3 of the last 4 Olympics, and multiple youth national team tournaments in the past decade and a half. Furthermore, the USMNT has only beaten two top 20 teams in the world in a competitive tournament in the past fifteen years and has demonstrated a deterioration in performance against regional opponents in the Gold Cup. This article and these damning statistics focus solely on the results and do not delve into the style of play, which can best be characterized as pragmatic, rudimentary, and unimaginative, or the inability to produce international-caliber players. For a country of our size, resources, and interest in soccer, these results are indefensible, especially when considering the strength (or lack thereof) of our region relative to the rest of the world. For Gulati and the USSF to claim growth and progress is inaccurate (our growth trails the rest of the world so by growing more slowly we are falling behind) and misses the big picture. The potential in this country is immense and has been artificially stifled by the monopoly that is the USSF who are denying and turning away billions of dollars (literally!) of investment to preserve the exclusionary, closed system that has stifled any meaningful progress relative to the rest of the world. We have often been told to “build a better mousetrap” (here and here). Without dwelling on the inauthenticity or disingenuousness of that remark, I’d respond no. The USSF has monopolized soccer in this country for too long and actively prohibits someone from building a better mousetrap. We need to open the soccer ecosystem (yes this means promotion and relegation) in this country. Exponential growth will only come from opening the soccer pyramid where billions of dollars of investment and true market incentives will spur actual change. We should demand so much more from our country. We should demand more than a fluke ability to defeat top teams. We should demand an equitable market that allows access to everyone and permits the cream to rise to the top. The full breakdown of opponents by tier is available and can be provided if requested. Moreover, I put in a significant amount of time compiling this data and am happy to share with anyone who would like to use it. This information is all factual, and, frankly, the dialogue surrounding the USMNT and the USSF can be enhanced if more people are exposed to and digest the data.